If you were a geometric shape (e.g. square, circle, isosceles triangle, etc. ), what would you be and why? So I am going to do part of the The Finicky Cynic “June ‘Jour’ Challenge” I am rather late in it, but this prompt stood out to me the most. It took me no time to answer either. What geometric shape would I be…hmm, easily, a circle? So why a circle? A circle is too me the basic, original geometric shape that has the deepest meaning. It’s the basic design leading into the Flower of life symbol which is said to be the design that created the universe. As every math problem, every line, every thought stems from the creation of the Flower of Life. It is only right I pick something that represents the deepest part of me. 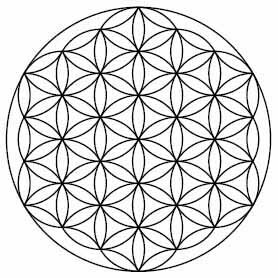 The flower of life is part of the sacred Geometry our ancestors some how strangely knew of. The great ancient civilizations in our human history all shared this one symbol. It can be found in every major religion some are remixed into portions of the symbol, but overall, it reaches every cornerstone of the world. It can seen etched in stone and clay tablets in flow with the story of their civilization. Somehow, the civilization knew all about this symbol with no connections with each other. How is that even possible? The makings of the symbol consist of evenly drawn circles overlapping each other to form flower like symbols. It’s actually very easy to make with a protractor. you just draw a circle and then at the anywhere on the line of the circle you place the point of the protractor and draw the same pattern over and over. It’s quite the learning experience as every inch, every placement counts. This symbol is everywhere in nature. As for me, while going through my spiritual journey I was enamored at the mass of information I was receiving. Learning I am part of everything and everything is part of me is astounding. A Circle is never ending as I am never ending. We are never ending. 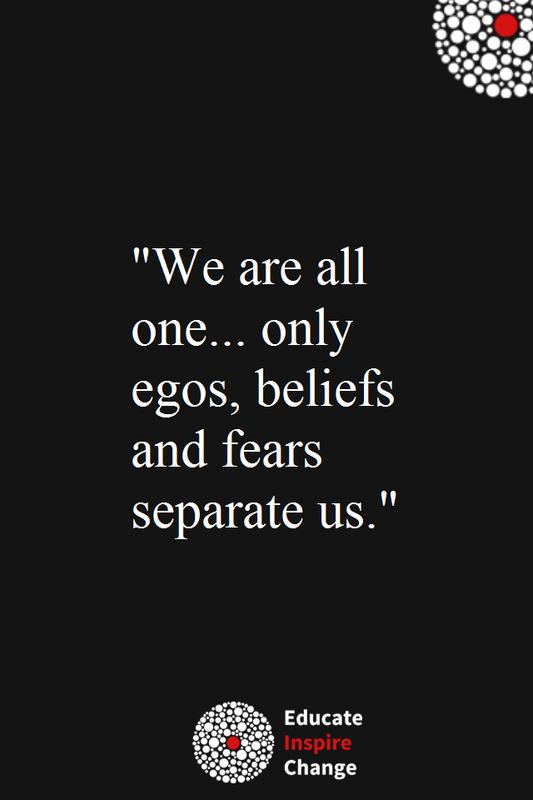 We are always is! How fun is that…( better then being told I’m a sinful, dirty beast, born into a evil world and wickedness). Here is SpiritScience Better in-dept explanation on The Flower Of Life. These People are just Ah-May-Zing! UPDATE: Birthday, Hamptons, Instagram, School & More. Alright! my peoples, who are you all guys are going? I am doing well over here, thanks for asking. And if you didn’t ask, well…thank you anyways. So in my last post, I spoke about a few of my May favorites. Which as of now they still are but I can’t wait to express some of my June favorites at the end of the month. However, since then, approximately 14 days past and I can say I pretty pleased with how things are going on. First, I am now 23. My birthday was on June 6 and guys, I had the best birthday ever! I haven’t enjoyed my birthday since my single digit days running up and down the Discovery Zone, which I believe is now out of business. The Discovery Zone was like the better version of Chuckie Cheese and McDonalds Playhouse. What made it so fun was because I celebrated my 23rd birthday in the Hampton. Yes! I am like so jumping for joy! Breathe, okay, let me simmer. My phone actually took this, my edit skills perfected this! Alright, yeah, I’m ready. So, everything fell into place being that the event in the Hampton happened to be on the same day as my birthday. Perfect!. I went with a good friend of mine and an art teacher/friend. The event was a charity type donation place where people basically auctioned money to fund this school. The estate was gratifying! I never seen a house as big as this up close in personal. They had a tennis court in their front yard with 12-13 foot bushes and a beach in their backyard. Not to forget the pool along with an array of pretty flowers. The food was elegantly made, I was around expensive people. It was such a tasteful, inspiring, learning experience. I’m glad I looked the part! I left there feeling so blessed. I also left full with a few sandwiches in my bag along with other dainty Hampton stuff. I am never ever, ever, ever, going to forget such an experience. I want plenty of more of those. Actually, I want a mentor to guide me to those expenses. I want to taste the crisp air again. Until then, I will read the Hampton’s magazine and practice Law of Attraction. Ha! Aesthetics dahling! Aesthetics, aesthetics, aesthetics! Its all about the aesthetics of Instagram. Yeah, well many people may think it’s taken too seriously, but on the one hand, it does make you pay attention to whats around you more. Lately, I have been taking my Instagram feed and trying to make it more “aesthetically pleasing” Which is this new trendy thing going on. Basically, the goal is to have every picture compliment each other with the same borders, filters, colors, etc. Thus, you create a theme. I’ve seen some awe creative feeds that makes me scream YES! and I seen some that just makes me unfollow! In a future post I will explain how I edit my photos, but in the mean time I need to learn how to perfect it now that I got the right tools. I think I may need an Iphone 6 or invest in a professional camera. I like quality things and social media outlets are another extension of yourself, I believe. With that, I think its very cool to have your mini representations look nice. Eventually, it will look like some brand when everything flow and is cohesive. This why I wanted to change my blog name to SardonicLaughs, though I’m realizing I may loose all my content in the process. That’s so dumb! Whether you like it or not you are being judged and look at like some brand. When need be to market myself, I want my outlets to represent me uniquely and entirely. When I tried to do a whole new IG it got deleted in the same day, like really…I was so pissed! Whatever now I will just learn the tricks and the trades. 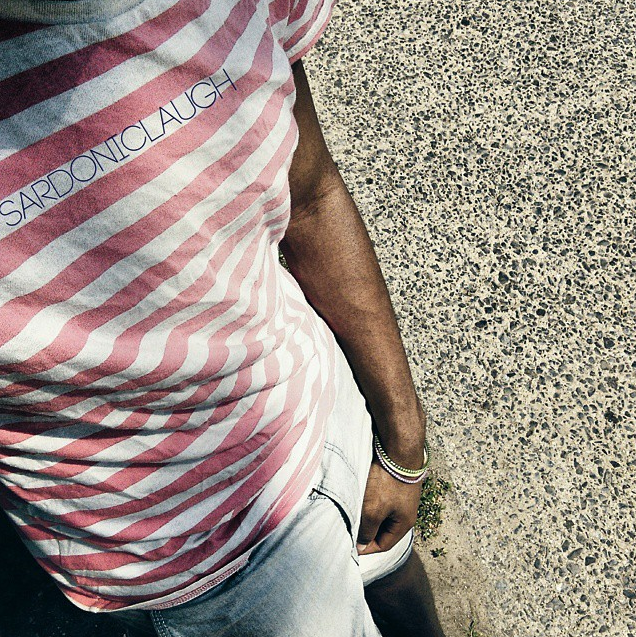 Follow me though @sardoniclaugh, please! I’ve been enjoying myself a little more lately, meaning I have been focusing a lil’ more on myself more than I have ever before. I took a risk like three weeks ago and that was to just randomly ask these people to jump double dutch at union square park. This was unnerving because I can be extremely shy to the point I will miss out on opportunities because of it. Double dutch has been very close to for as far back as the age of 5. However, due to society my parents banned me from jumping it because it was girly, and perpetuates more teasing and so forth. In return, I would sneakily jump double dutch when my parents weren’t around. It was thrilling to be rebelling the way that I was, but also scary when I got caught. Now, I am able to fill the deep desire to do jump and do what I like without a care in the world. It’s amazing that I took the chance to ask and now I’m meeting new people. I am doing what I like to do by myself. I am proud of myself honestly, It just fine tunes another facet of me. I am glad that I am exploring myself into these areas from voguing to double dutch, writing and more. I am doing what pleases and interest me and its rewarding. I’m much more happier than I have been in months, Ideally because schools is out and summer is here, laugh out loud. Oh, yeah and I started dancing again and performing this weekend in Harlem, NY. So excited to be on stage again in a custom being me! Well, I think that is all for now. I’m thinking about posting on a scheduled basis like twice a week at a certain time that way its best for consistency, organization, and expectations for readers. I’m still on the fence about my blog name, blah! Until next time, CIAO!